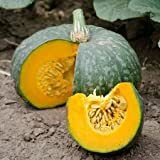 Kabocha squash growing herbaceous creeping vine of the genus Cucurbita also known as Kabocha or Japanese pumpkin, Kabocha squash annual plant also used as ornamental fruit, can grow in mediterranean, subtropics, temperate or tropics climate and growing in hardiness zone 4+. Leaves color green in round or heart shape with lobes. 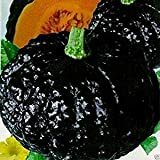 Fruits color dark green some can be with light green or orange, the shape round-top shape, weight is 1-3.5 Kg, and size 10-18 cm. Seeds are white and edible after cooking. 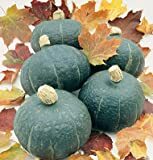 Japanese Black Pumpkin - Kabocha Seeds - Open Pollinated, Heirloom, 20 Seeds ! Terra Exotic Harvest Sea Salt Vegetable Chips, 6 Ounce - 12 per case. 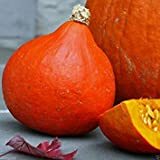 What can be done with big quantities of Kabocha squash fruits?